Electric cars are changing the automotive landscape, technologically and culturally. Those factors are what often make things classic, whether it's in music, architecture, or automobiles. Various people have weighed in recently on which of today's green cars will become tomorrow's classics, from Hagerty Insurance selecting the Tesla Model S as the car of the decade to comedian and car collector Jay Leno picking the original, boxy Toyota Prius sedan as the most likely "green" collectible of the future. Last week, we thought we'd let our Twitter followers weigh in with their own opinions, focused specifically on electric cars. Which modern electric car will be the first classic? Our Twitter poll last week asked readers simply: "Which modern electric car will be the first classic?" 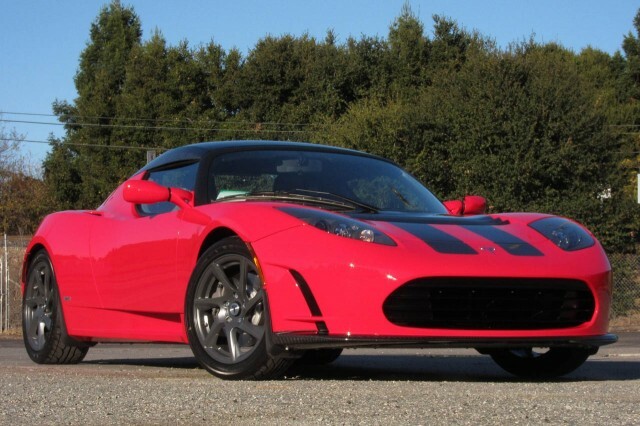 Our suggested choices were, the original Tesla Roadster, the company's proof-of-concept to build a expensive, all-electric performance car. Tesla only built about 2,200 of them, which adds exclusivity to the mix of classic attributes. Almost half of our Twitter respondents, a large plurality, seemed to agree with that notion, picking the Tesla Roadster as the most likely future classic. Going along with Hagerty's suggestion, the Tesla Model S came in a distant second in our poll, with 29 percent of respondents choosing it. Arguably, the Model S is the first modern electric car that captured the public's imagination, not to mention the first car the iconic company developed mostly in-house. In the same vein, as a dark-horse candidate, we included the Nissan Leaf, as the first modern, mass produced electric car, beating the Model S to market by a year. 13 percent of our respondents chose the Leaf as the most likely next modern classic. Perhaps they are loyal owners. Ten percent of our Twitter respondents chose Other, perhaps wishing we'd included other choices. In Twitter replies, our followers suggested everything from the Tesla Model 3 to the Chevy Bolt EV, the Fisker Karma, and the Toyota RAV4 Electric. This poll got a healthy number of responses, almost reaching 500. As always though, remember that our Twitter polls are not scientific, because of their small sample size and because our respondents are self selected.